quick photo crop. I loved the simplicity and the easiness of the system. 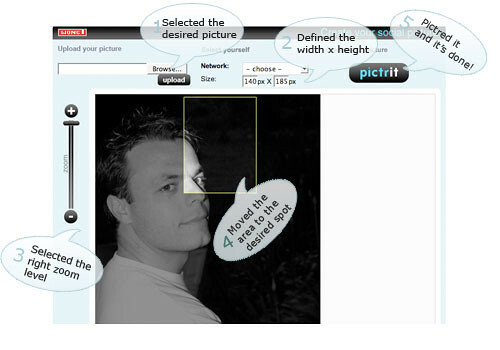 I needed to create a picture for my Technorati Profile, and after a quick search, i found out MyPictr.com! Easy enough for me, and allowed me to create, with the same picture, several formats and sizes for my other social comunities!